In the Middle Ages, there was a cultural revolution that is also known as the Green Revolution of Al-Andalus. The Arabs and Berbers who arrived in 711, who wanted to reach the confines of the then known world, united their knowledge (from their cultures and from all the positive things they found and perfected in their path) join with the knowledge of the native Andalusian population, contributing to science great innovations that continue to this day. 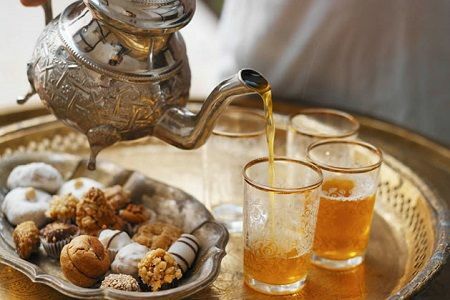 That cultural syncretism turned Al-Andalus into the intellectual and artistic elite of that time, as well as the culinary culture that we can still find today in Andalusian cuisine full of delicious dishes, which have spread far from the territory of current Andalusia. When those Berbers arrived in Al-Andalus, they collaborated with the native population to promote everything related to agricultural development and also to introduce infinity of new plant species, and to encourage large-scale cultivation when they proved the high fertility of the land. As a result, agricultural production became so high that it began to trade with surplus food. The Andalusíes maintained that digestion and nutrition couldn't be totally healing if there was no delight, pleasure, and appetite in the pleasant act of eating. There was a taste for condiments and spices, which they considered to make the food more tasty and palatable. 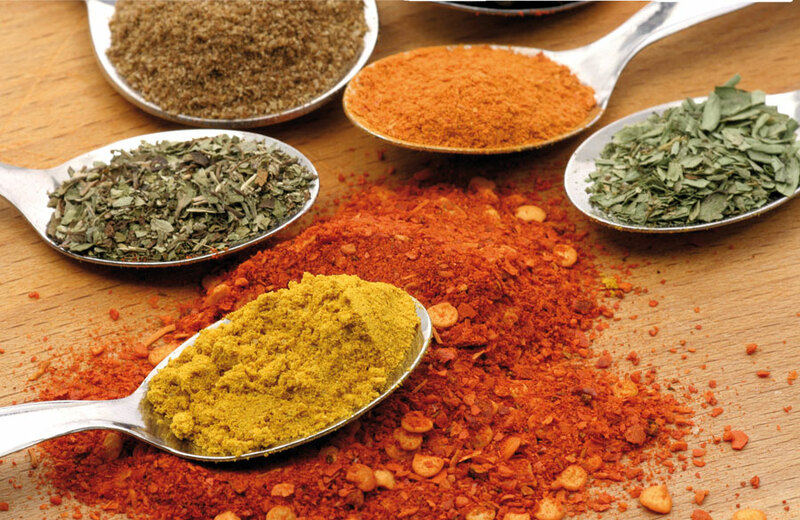 These spices and aromatic herbs that were started to grow were synonymous with luxury and exoticism. With the complex alchemy of those spices, dozens of ways of preparing and seasoning meats, fish and vegetables were achieved, achieving a range of flavors unknown until that moment and that attest to the exquisite and refined cuisine that was developed in Al-Andalus. It was so extreme the desire of the andalusíes to make things attractive to the eye, to the ear, to the palate ... that they devised the determined order which the dishes were served to the table, as we know it today: A first with soups and broths, and then with appetizers; a second dish with fish and meat, and finally, the desserts. They also introduced the use of spoons and cup glasses on the table. In Andalusí gastronomy, the consumption of durum wheat bread during the meals was very abundant. Two types of bread: the white, flour flower, and the one that retained part of the wheat germ shell. It was also made, although to a lesser extent, bread with rye flour, barley and millet even mixing the ingredients. That developed an almost affective relationship with bread, and generated dependence such that even today it’s said in Andalusia that, rather than eating "something with bread", you eat "bread with something". The most appreciated way to use wheat flour was in the form of semolina, with the preparation of the famous couscous, a Berber origin dish, which was introduced into Al-Andalus by the Almohads in the 13th century. The meat most consumed by the Andalusíes was lamb and cow and also the rabbit. They could prepare it in many different ways; both roasted, fried or stewed. All mixtures were allowed including fruits, pistachios, almonds, plums, dates, quince, orange or citron, all well spiced and flavored. Another way to consume the meat was crushed, preparing with it meatballs (in Spanish albóndiga = al-bunduqa). 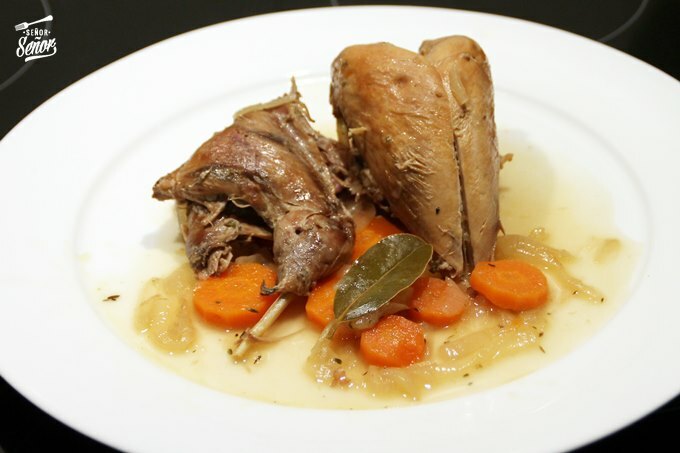 The birds that hunted (partridges, quail, and pheasants) could be cooked fried, pickled ("iskabay"), stewed, sauteed, marinated, or stewed with honey, cinnamon and saffron so that the texture of these meats, often leathery, it became tender and appetizing. The escabeche: In the coastal areas of Al-Andalus, the seafood and fish were preserved by mixing a little olive oil, spices and plenty of vinegar. The Andalusians called this technique "al-skibay", which later resulted in "iskabay" to evolve definitively until the marinade (escabeche in Spanish) of our times. The fish, both salt water, and fresh water were much appreciated. It was prepared in different ways, fried in olive oil, stuffed with dough based on breadcrumbs and spices and stewed. The most estimated were red mullet, salmon, sardines, anchovies and anchovies, and tuna. When it comes to fish, we can’t forget those wonderful fried dishes from the coast, which are still part of the popular Andalusian cuisine. 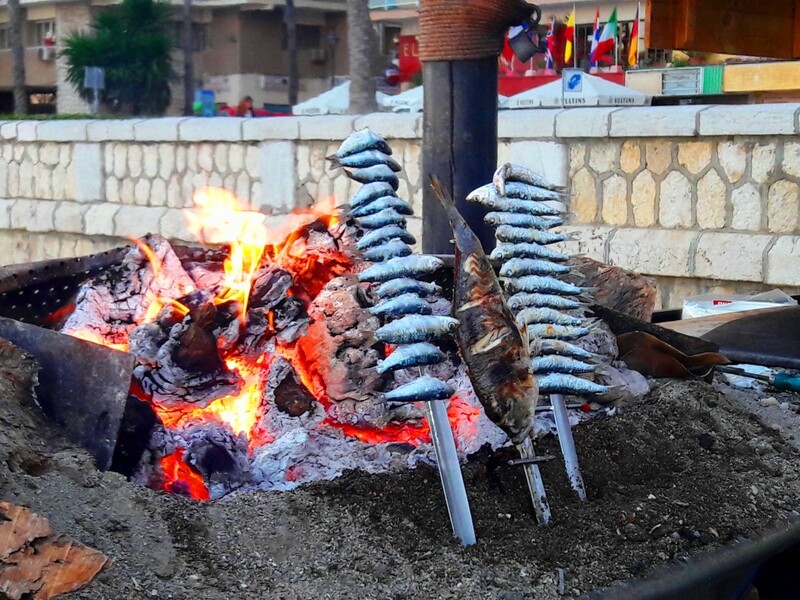 Writings from experts in Andalusian gastronomy coincide with historians that fishermen took advantage of the abundant cane fields that grew next to the beaches to burn (roast with firewood) the fish on the sand, what we know today as "espetos". It was also very common to cook cod in the form of the fritter. Vegetables were so varied and abundant thanks to the introduction and adaptation of new species that for the first time acquired importance by themselves. They were served as a salad, puree, roasted and stewed. The salads, based on lettuce and all kinds of wild edible plants, were seasoned with olive oil and served with table olives. These azzaytúna could be green, previously macerated in brine with aromatic herbs, or black, since, in addition to exquisite, they considered that they stimulated the appetite. Some species were popularized, such as aubergine, artichokes, and spinach. Legumes, chickpeas, soybeans, lentils and all kinds of beans were foods considered highly nutritious, but typical of rural areas. The original name of the beans, "al-lubiya", has been preserved until today as "beans" (alubia in Spanish). They also made what we know today as "fig bread". That is to say, a dense mass kneaded with dried figs, to which they added ground almonds, cloves, cinnamon, sugar, and matalahúva. The eggs were not excessively recommended by the Andalusíes dieticians, considering them heavy and even indigestible. Even so, they were a common food among the population: fried (as they liked most), in the form of an omelet, cooked or on the plate. Dairy products played an important role in feeding the population. Was considered by the Andalusíes that the most appropriate milk for the human organism (apart, of course, from breast milk) was goat milk. 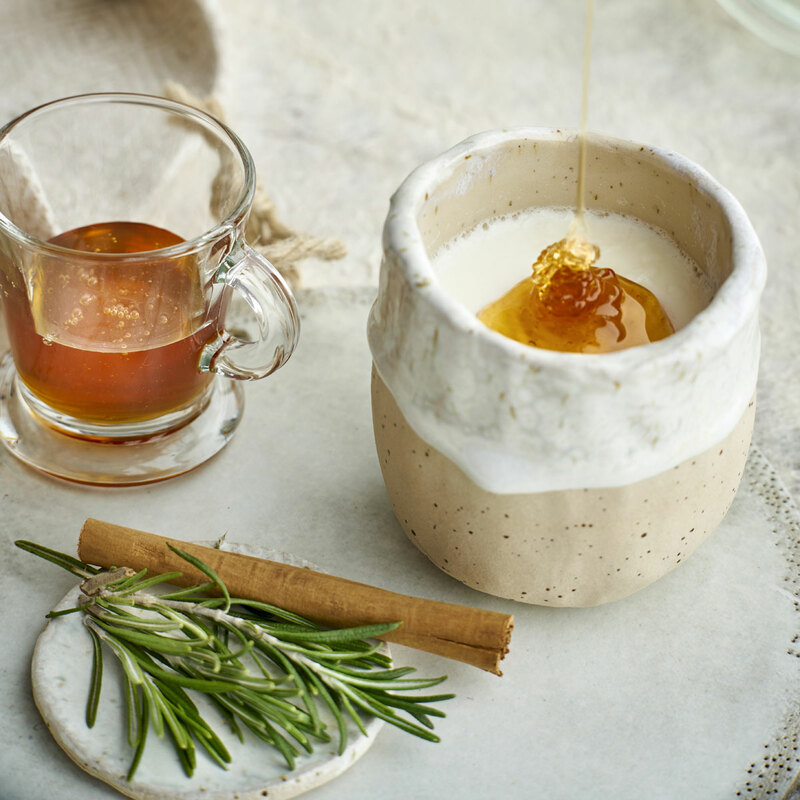 It was usual to take it in curd it was served fresh and accompanied by honey. Milk took advantage of everything: butter, as a substitute for oil, or pastry. The fresh cheese was also quite appreciated. Buñuelos (fritters): A mass of fried flour in enough olive oil with an interior made of fish, usually cod. Puff pastry and puff pastry sprinkled with fine sugar and sesame seeds. Sherbet, sweet ice cream that has reached our days as a sorbet. A refreshing drink prepared with an essence of violet, pink or banana, and crushed ice. This was collected in the mountainous areas and was preserved in deep holes in the ground. • Tolerance in the survival of uses and customs prior to the arrival of Islam. • The implementation of Maliki law (one of the four existing schools of jurisprudence in Sunni Islam) where wine is accepted as long as it does not cause drunkenness. That's means, what was forbidden was to get drunk. Muslim Andalusians could produce and sell wine provided they paid a specific tax. Both Christians and Muslims came to the taverns willing to forget for a while the Islamic prejudices about wine. As you can see there are a lot of pieces of evidence that show us that today Andalusian influences are still valid in our culture, not only gastronomic but also in terms of protocol, manners, and production; and that therefore we can not say that in our cultural legacy we are not a little Muslim.